Stephen Curry is actually a good value today and you should be able to pencil him in to 50+ fantasy points tonight. I also like Lonzo Ball to follow up his game against the Wizards and have a solid night. My sleeper pick is Courtney Lee, very low ownership for a guy who comes in and puts up good numbers. DeMarcus Cousins is in line to care the workload against his former team tonight, look for a monster game. 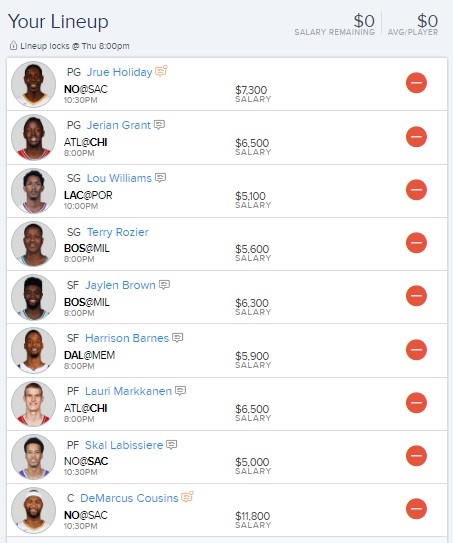 My value pick is Lou Williams, he should exceed his salary by a lot. 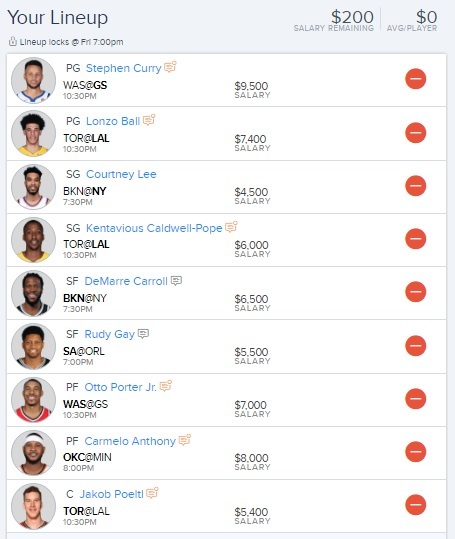 My sleeper pick is Harrison Barnes, look for a solid night against Memphis. 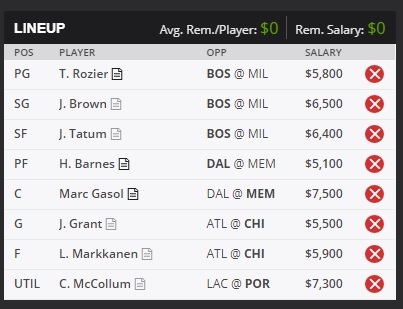 I like Jaylen Brown to lead this balanced lineup as him and Jayson Tatum have been great value options. My sleeper pick is Marc Gasol, look for great production by him against the Mavs. Ben Simmons has a great match up against the Rockets and this should be a high scoring game. 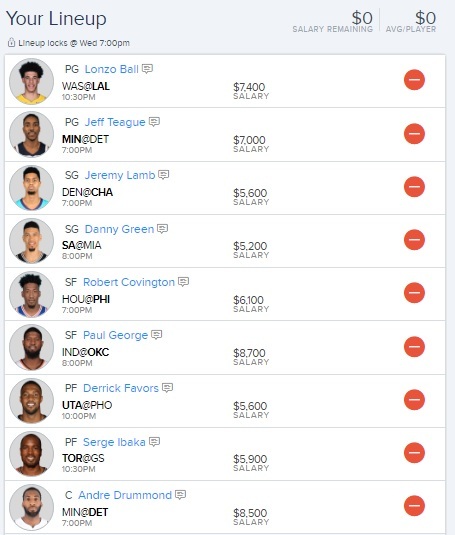 My value pick is Robert Covington, he should do very well against the Rockets weak defense. 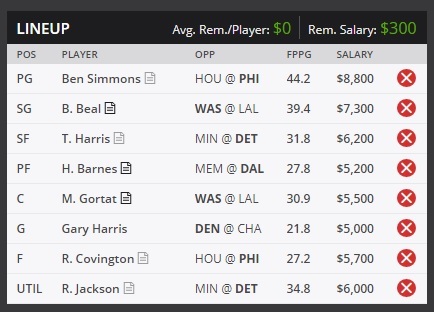 My sleeper pick is Gary Harris, very good value as his salary has dropped. Paul George is set for a monster night against his old team, lock him in your lineup now. I like Lonzo Ball to have a big night as well against the Wizards. My sleeper pick is Jeremy Lamb, solid numbers so far for him this year. My value pick is Jeff Teague, great balance around him.